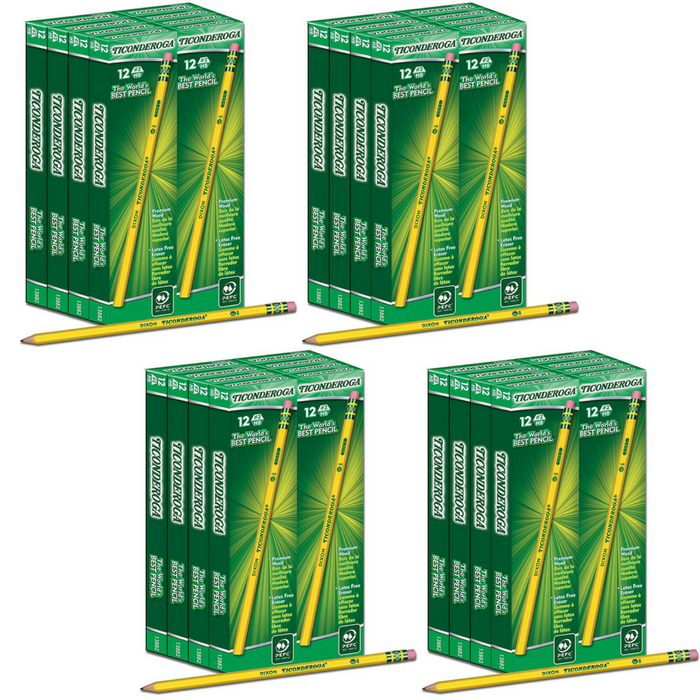 Dixon Ticonderoga Pencils 96-Count Just $9.96! Down From $32! You are here: Home / Great Deals / Amazon Deals / Dixon Ticonderoga Pencils 96-Count Just $9.96! Down From $32! Amazon has this Dixon Ticonderoga Pencils 96-Count on sale for just $9.96 down from $32.49 PLUS FREE shipping with Amazon Prime or for orders $25 or more! With a satin-smooth finish for enhanced comfort, the Dixon Ticonderoga Woodcase Yellow Barrel #2 Pencil features an exclusive graphite core formula for smooth writing performance. Every pencil in this pack of 96 is crafted from reforested quality cedar wood for easy sharpening, and comes topped with a high quality latex-free eraser for clean, easy corrections. Safe for classroom use, these pencils are PMA certified non-toxic.